With version 3.1, the authoring software VTS Editor is enriched with ever more powerful functionalities for educational designers. 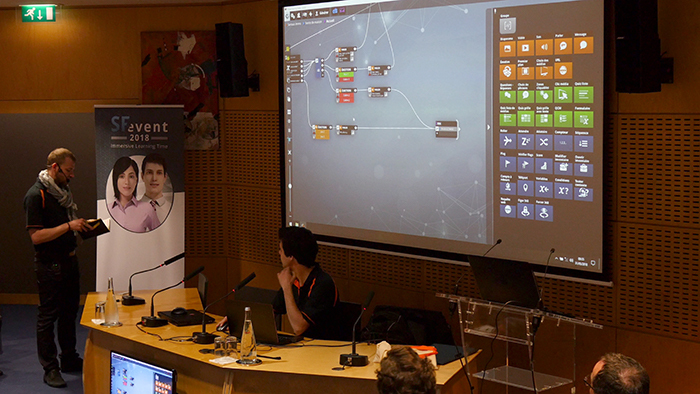 The first conference of the morning demonstrated this by taking up the challenge of creating in less than 45 minutes an interactive, gamified and tree-like virtual simulation in its construction. – A mini-game of the secret agent type to manage to retrieve a briefcase of essential documents for sale! Participants then had the opportunity to discover VTS Perform, the solution for simplified deployment and fine analysis of learner performance (Learning Analytics). A real innovation during the conference, the experts on stage had the application VTS Player downloaded live to the audience. Thanks to VTS Perform and its rapid deployment, the public then installed in a few seconds a VTS experience that they could play directly. The amphitheatre was stunned as the results of the experience were instantly brought up, giving access to the detailed itinerary of each of the participants. 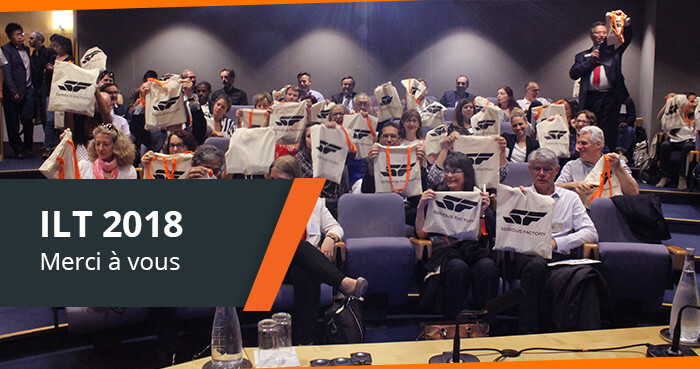 One of the highlights of this half-day was the round table discussion with Digital Learning experts: Anne-Laure Mozimann (VitalSmarts France), Nathalie Vasseur (Learning Concept), Alain Curvale (Pro BTP) and Matthieu Zerafa (DS Automobiles). This moment of sharing allowed everyone to explain their strategic vision of the training program, the specificities and expectations of the different industries represented or to react to the new products presented earlier in the morning. It also made it possible to open up very beautiful exchanges and debates between the audience and the speakers on the design methodologies used and the good practices of Digital Learning. 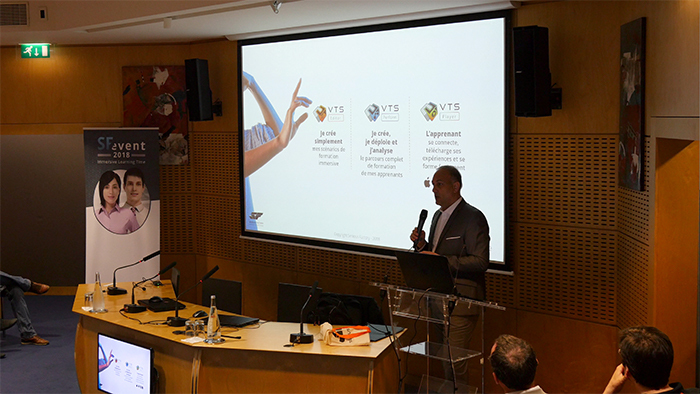 Following this round table, workshops and activities concluded this morning: Virtual reality projects, immersive Serious Game and questions to the various experts at VTS Editor. If you would like to know more about the new version 3.1 of Virtual Training Suite, feel free to contact us at or try our test version of VTS Editor. 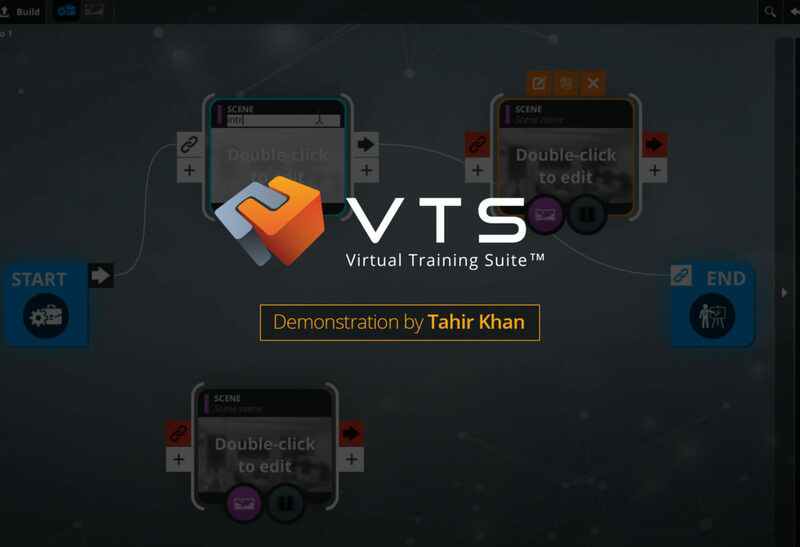 Learn how to use VTS Editor in complete autonomy thanks to the 20 new video tutorials! 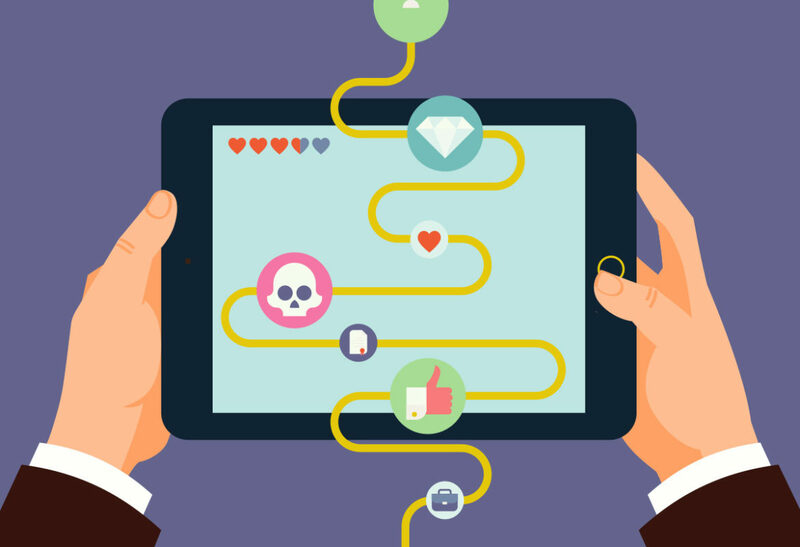 In 2019, corporate training will be done through Gamification !